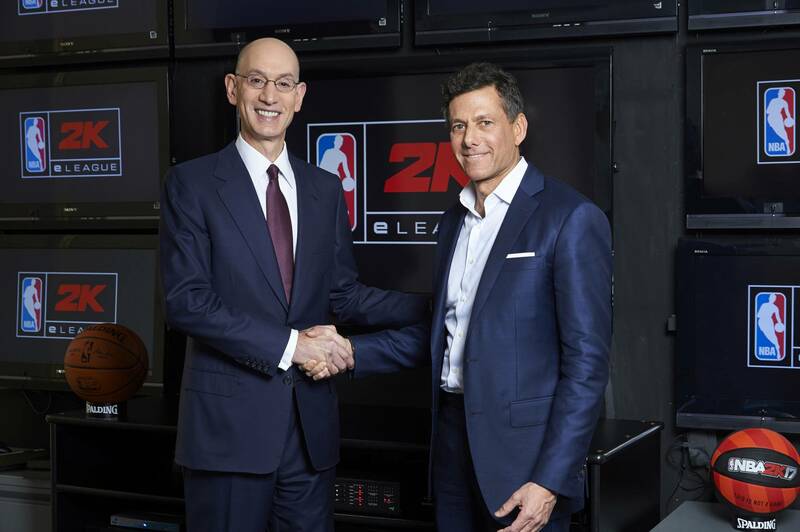 eSports will soon have a bit more to do with actual sports courtesy of a new partnership between Take-Two Interactive Software and the National Basketball Association (NBA). Take-Two Interactive recently announced plans to launch an eSports league based on its popular NBA 2K series of basketball games. Founding teams will each feature five competitive gamers that will play with user-created avatars. The NBA 2K eLeague will follow an actual professional sports league format with competition to play out over the course of a regular season, a bracketed playoff system and a season-ending championship matchup. Since its debut in 1999, the NBA 2K series has sold more than 68 million copies worldwide. The latest release, NBA 2K17, is the highest-rated annual sports game of the current console generation and the highest-rated title in the history of the franchise with sales approaching seven million units. One has to wonder if that would still have been the case had EA Sports’ popular NCAA Football series not been canned in 2013 but I digress. The NBA 2K eLeague will debut next year. Interestingly enough, the teams will be operated by actual NBA franchises. I’m not entirely sold on that being a great idea because, well, what do NBA teams know about competitive video gaming? Hopefully they prove me wrong.